October 1931. 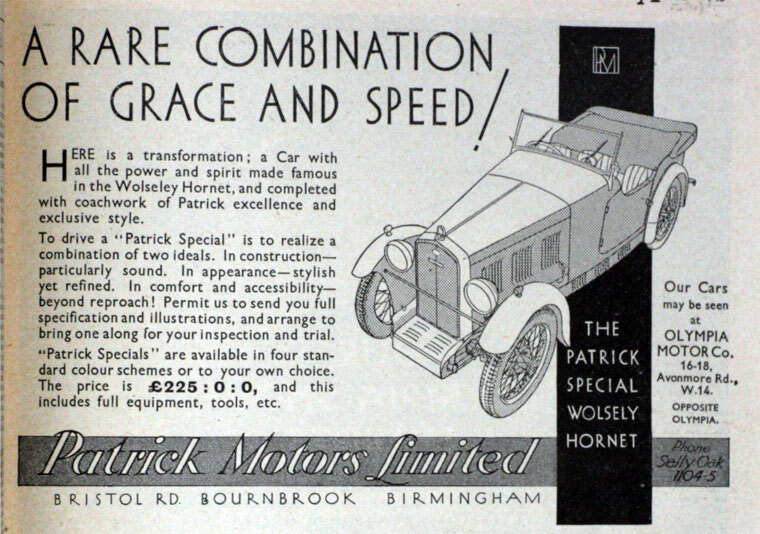 Patrick Motors body on a Wolseley Hornet chassis. 1961 Motor engineers, coach builders, garage proprietors, and car and truck salesmen. 250 employees. This page was last edited on 10 January 2018, at 18:40.